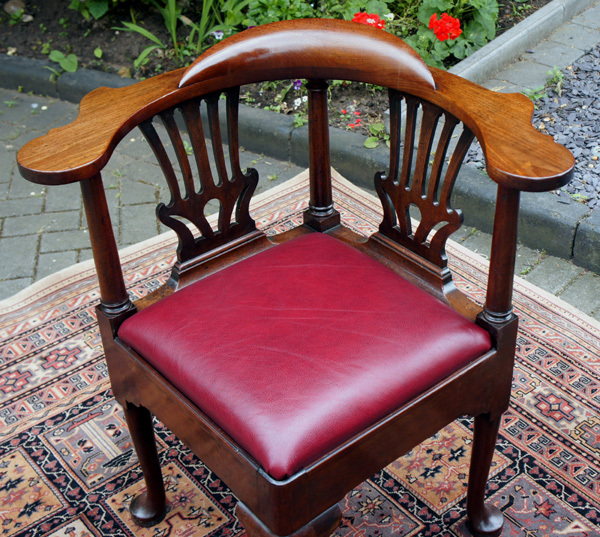 This very good quality antique mahogany corner desk chair is in excellent condition. Made from solid mahogany it has a horse-shoe shaped back with broad arm rests, central back rest, pierced splats and finely turned uprights. 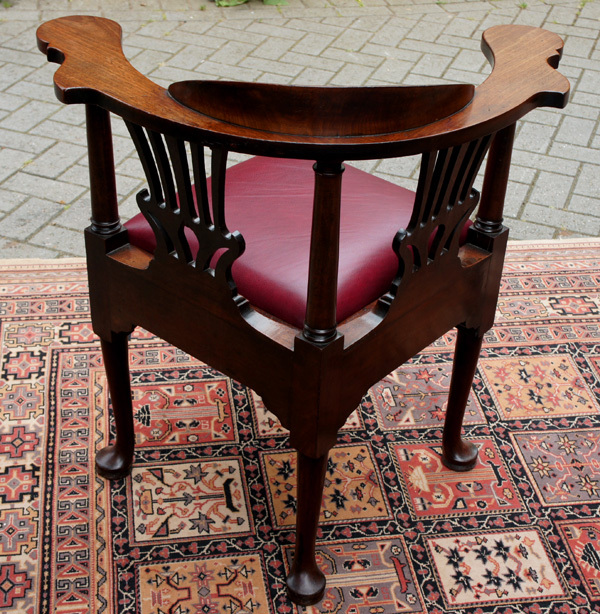 This very good quality antique mahogany corner desk chair is in excellent condition. central back rest, pierced splats and finely turned uprights. 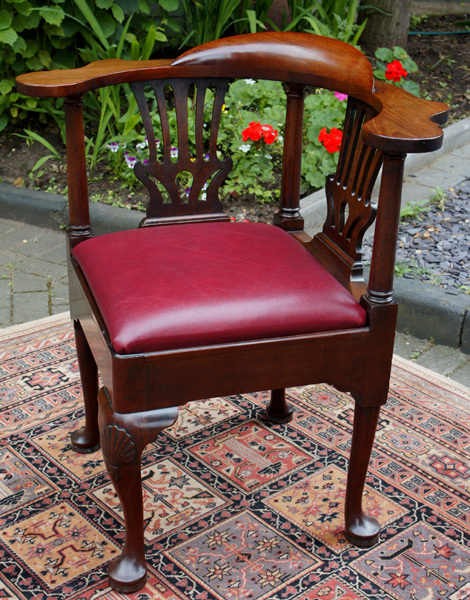 It has a padded drop in seat which has recently been re-upholstered in crimson hide. 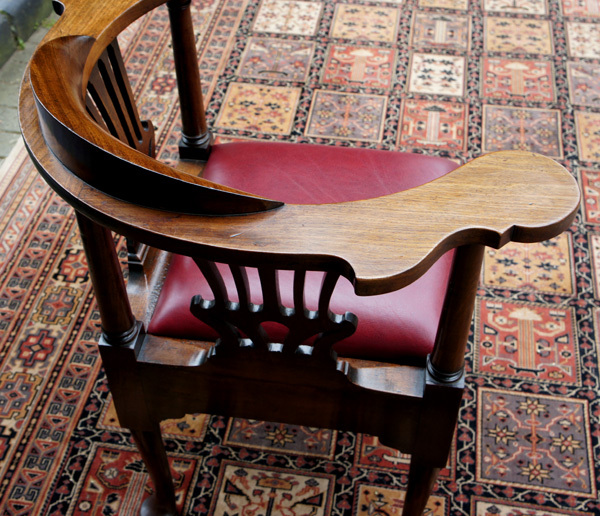 The chair stands on a central cabriole leg with a shell carved knee and pad foot. The other three legs are are turned and terminate in a pad foot. and could easily be used as a desk chair or hall chair or occasional chair. It has recently benefitted from professional cleaning and wax polishing.